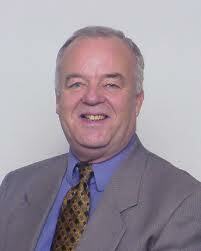 Brian Madigan is a Canadian Real Estate litigation advisor, mediator, arbitrator and trainer. •Speaker, Canadian Bar Association; Lecturer, Law Society of Upper Canada; Instructor Bar Admission Course, Instructor for World Wealth Builders and Professional Real Estate Investors Group(PREIG) Canada. Mr. Madigan has broad based experience in the real estate industry having processed over 5,000 transactions, many of which involved contentious legal proceedings. Although he brings the experience of a litigation background to his dealings, his role as an Arbitrator, Mediator and Chairman of Tribunals and Advisory Boards established by under the Canada Pension Plan and the Ontario Insurance Commission enable him to facilitate compromise and effectively negotiate satisfactory resolutions. Mr. Madigan employs innovative strategies to achieve superior results in difficult circumstances. Mr. Madigan served as an Instructor and Lecturer in the Bar Admission Course and Continuing Education programs offered by the Law Society of Upper Canada and has published legal precedents relating to various types of real estate transactions. In real estate matters, Mr. Madigan offers litigation support services to law firms, realtors and consultants. He continues to write articles on the real estate industry which are published in local newspapers. Prior to joining Royal LePage Innovators Realty, Mr. Madigan was a partner in a successful venture capital business providing advice and assistance to entrepreneurial Internet based businesses. The community has served been well-served over the years by Mr. Madigan’s contributions as a volunteer and Board member in numerous organizations including St. Michael’s Hospital, Credit Valley Hospital Foundation, Erin Mills Baseball Association, the Learning Disabilities Associations in Peel Region and many others. Areas of Expertise of Brian Madigan LL.B. I practised law for over 25 years, primarily in the health care, pension and insurance sectors. My role consistently brought me into the real estate business, advising clients on the acquisition, disposition, and investment in real estate. These three sectors encouraged me to learn as much as possible about succession planning, financial planning, tax planning, investment returns, and risk management. I have now applied these skills to real estate, and I am hopeful that my experience can be put to good use for you. Over the last 20 years, I have participated in several venture capital and real estate companies with a primary interest in investment, management, and development of real estate. The principles of real estate investment and achieving superior returns are relatively straightforward. The difficulty is applying them in particular transactions. I believe that it is my role to ensure that my clients will make sound and informed decisions concerning the purchase and sale of property. Special Interests of Brian Madigan LL.B.